It’s an easy dish to make and full of flavour. It calls for cooked chicken and I used steamed cooked chicken as I find steaming the chicken keeps it moist (says the vegetarian!). You can serve this with a side salad, cauliflower rice, veggies or a nice tomato sauce. Or just eat it on its own. Low carb and gluten free, this is a great supper dish with no guilt! Huzzah! You could play around with the cheese ingredient too, as I think this would be nice with a few tablespoons of ricotta in the stuffing mix. I might play around with this the next time I make it…… The ingredients below are for two so you would need to adjust it accordingly, depending upon how many people you are cooking for. Cut the tops from the peppers, deseed and remove any ribbing. Place the peppers upright in an oven dish. Heat the oil on a medium heat in a frying pan and add the garlic and spring onions. Cook for 2 minutes. Add the spinach and cook for a further 2 minutes until the spinach is wilted. Remove from the heat and season with the nutmeg, salt and pepper. Add the chicken and tomato sauce and mix well. Spoon half of the mixture into the peppers, then top with a couple of tablespoons of cheese. Add the remaining mixture and sprinkle the top with the rest of the cheese. Cover the oven dish with silver foil and bake for 55 to 60 minutes. 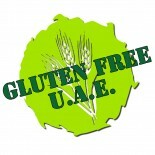 This entry was posted on 06/03/2012 by glutenfreeuae in Cooking, Recipes and tagged chicken, gluten free, glutenfree, paprika.